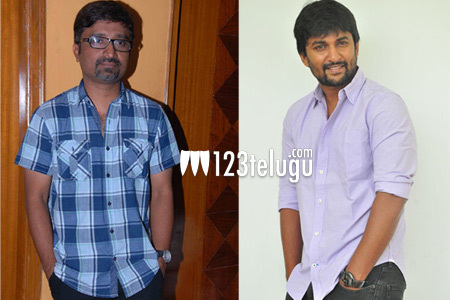 123telugu had already reported that Nani is acting in a movie under the direction of Indraganti Mohan, who directed his debut film Ashtha Chemma. The film is nearing completion and the first look of the film along with the title will be released tomorrow. Famous producer Sivalenka Krishna Prasad, who is known for making Aditya 369, is producing this flick. Mani Sharma is composing the music for this film which will be out in June.